Our John Heinz birdhouse has been claimed by the biggest bullies of the bird realm: house sparrows. If you’re not familiar with the species, they are notorious for attacking neighboring birds and spitefully stealing their eggs with no intention of eating them. 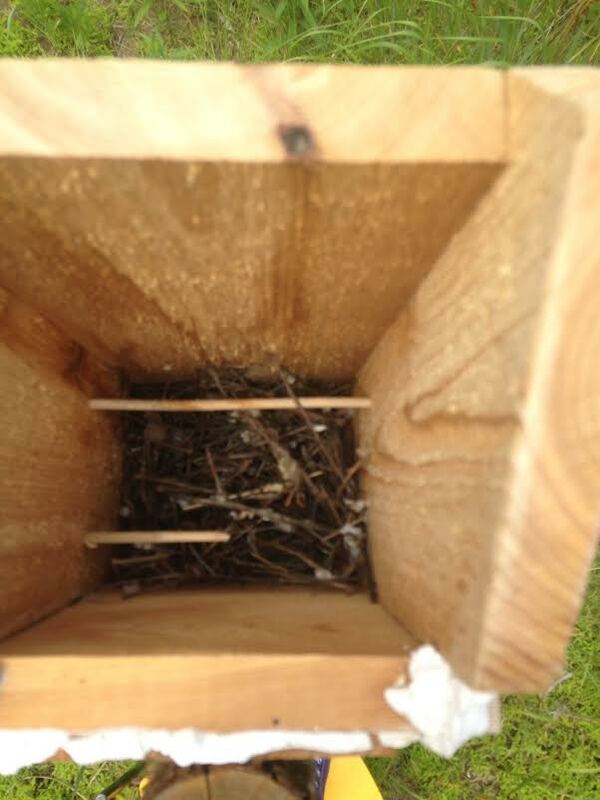 Shortly after we installed the box in May, a tree swallow had taken up nesting there and was busy laying eggs and preparing for nesting. However, as noted in our saga, house sparrows have continually taken to harassing our tree swallow residents. They’ve made a habit of taking their eggs, destroying their nests, and, to our dismay, kicking them out of their little bird home. The last time we visited at the end of June, the house sparrows had filled the birdhouse up to the camera’s level with sticks. This maneuver, according to other birdhouse builders, occurs when house sparrows want to prevent other birds from nesting in boxes in their territory. We returned during the second week of July to clear out the sticks in hopes that another tree swallow would be able to nest in the birdhouse.